Back to school is an exciting and hectic time for families. 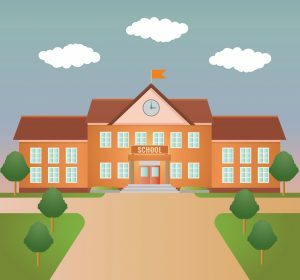 New school, new classroom, new teacher, but what if the same old situation exists with your co-parent where communication has hurdles, challenges, and yes disputes? Some families seem to do it seamlessly, by splitting the supplies list, attending orientations together, and sharing in the excitement of a new beginning. Others have more difficulty. How can you help your children prepare to return to school with an uncooperative co-parent? First, know your parenting plan. Reading and comprehending the Parenting Plan entered in your case defines your timesharing, responsibilities, share of expense, and how the academic calendar affects your co-parenting relationship. These orders are typically routine and frequently addressed issues are set forth, and the order should provide guidance to navigate the path back to school. At times, however, nuances and inferences can lead to issues where parents can find themselves disagreeing over simple issues. Speaking with an experienced family law attorney at the law firm Wood, Atter & Wolf, P.A. to assist you in understanding what your rights and responsibilities are can provide invaluable guidance for the benefit of you and your children. At Wood, Atter & Wolf, P.A., we have been On Your Side – At Your Side since 1957. Second, start planning early. The academic calendar for your county is readily available on the school district website. Each year has slight changes and every county is different. It’s important to look at the upcoming calendar, school supply list, and be informed so that you can be prepared for discussions regarding your children’s enrollment.